← Vancouver man’s ‘The Stranger Project 2014’ gaining in popularity across B.C. Anyone who has had me as a passenger in their car will know I have a tendency to have control issues. Thank goodness there is no brake pedal on the passenger side! As I try to evolve as a human being and become more self aware, I realize that there are just some character traits so engrained into me that all I can do is acknowledge them when they rear their ugly heads and do my best to not berate myself for the carnage they cause. First, let me say that I am a Virgo. I am a perfectionist, I sometimes get the superior attitude that only I can do something the right way. As a Virgo, I also have a tendency to be highly critical of others due to my perfectionist drive. These character traits, focused correctly with the highest good intended, can achieve amazing results. I can motivate myself and others to push past mediocrity and strive for higher goals that result in positive growth and self esteem boosts. The reverse effect happens when I use these character traits in an ego centric way and only achieve dis-satisfaction, defeatism, and alienation from the support that is really needed. I am not about to use the fact that I am a Virgo as a scape goat for who I am. I just wanted to mention it as context of my personality. These traits are default setting to my identity. They are part of my core, just like I have brown eyes, it is what makes me who I am as a person, warts and all. I have done a lot of personal work in the last few years to become self aware, to define my life path, and to strive to mature into a compassionate person. It is, and always will be, a work in progress, that’s life. 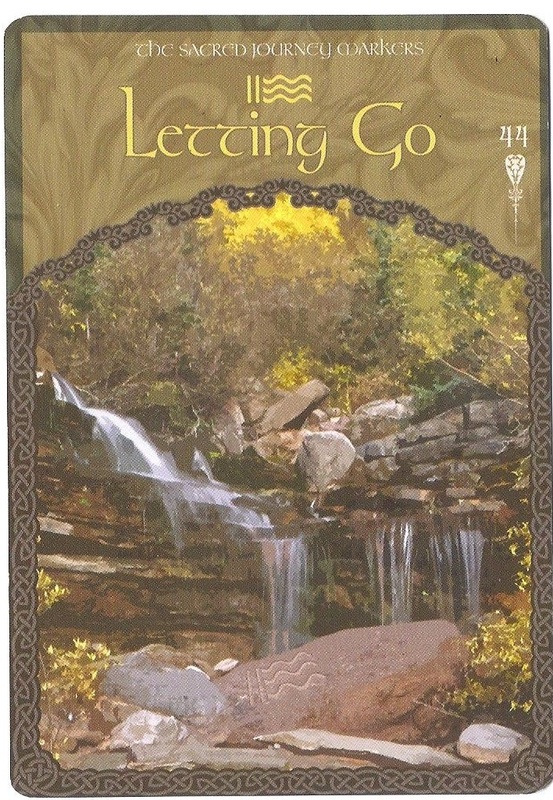 So I was more than stumped when, several weeks ago, while doing my regular personal readings for myself, the card “Letting Go” came up on more than one occasion. I am in a good place in my life right now, I hold no grudges, I have no regrets, I have forgiven myself and others for any pass transgressions, what did I need to let go of? This mystery niggled at the back of my mind for several days. I came up with all sorts of convoluted scenarios. Maybe I really hadn’t gotten over something from my past and it was about to pop up again for me to finally deal with it? Maybe some new drama was going to happen and the universe was giving me the heads up that I was about to be tested, a pop quiz so to speak, to see if I had truly learned the lesson of forgiveness? It wasn’t until this week that the light bulb finally came on. I had been frustrated at work these last few weeks, I could see opportunities for areas of growth that taken, would result in market growth. Even though I have chosen to just work part-time so I could focus my energies on other interests and had purposely decided to not instigate myself into my bosses business, here I was getting stressed over things I had no business being worked up over. Oh! This was indeed a pop quiz from the universe and the topic was ” A need for control versus letting go. I almost blew it and failed the test, my default character traits wanted to prove that only I knew what should be done to grow the business. The really funny part was that I thought I was being self-aware and even went to great lengths trying to figure out how to approach my boss in such a way for her to initiate dialogue on marketing strategies so we could engage in some brainstorming ideas where by I could offer my ideas. My ego is sneakier than I suspected, no matter how I spun it in my mind, I still just wanted control of the situation. Once I had shone light on the true issue, my engrained need for control, I was able to let it go. Growing my bosses business is not my business, it is hers, that is why she started it, it is her dream. 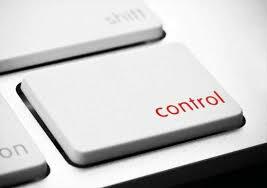 If there is a control need here it is for me to be in control of my own dreams. I was letting my ego take me off my own life path and insinuate myself onto someone else’s path. Test results are back, I got a B+. Yes, when all was said and done I had learned the lesson, to only do what I can and let go of the rest. To mind my own business and let others mind their own and to stay on path. Thanks to the universe, all I needed was a gentle reminder, but still, improvement is needed and awareness time could be refined. So the next time the universe surprises me with a pop quiz, I’m going for an A.
I have some of those traits and I am a Cancer! Go figure!! Loving your blog and recent entries! Your writing is full of self-awareness, honesty, and humility – and is a pleasure to read. Thanks very much for sharing your thoughts with the world! Thanks for the vote of confidence! I like to share my personal stories with the hope that others will see themselves in the story and get a little insight for themselves. Glad you enjoyed it!